RCC Slab design usually involve effective span of slab, depth of slab, load on slab. Reinforced concrete slabs extent either one-way or two-way, on the basis of their support conditions. A one-way slab extents among parallel line supports like walls or beams. At each point, the axis of bending is equivalent to the supports. One-way slabs refer to fundamentally wide beams and are designed maintaining the identical principles which can be used to any beam. 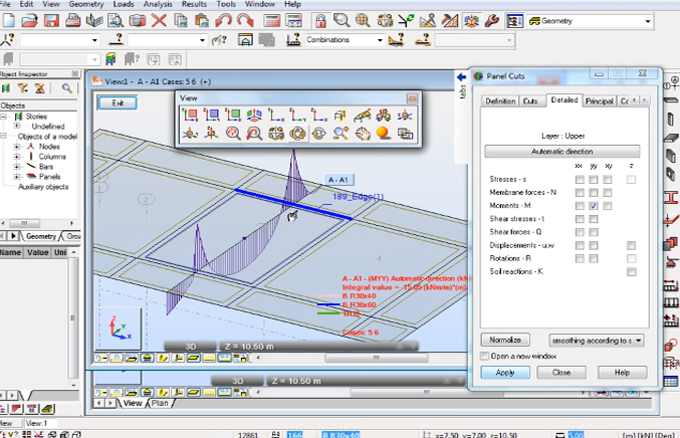 Traditionally, two basic methods are applied for designing the most of the two-way slabs i.e. the Direct Design Method and the Equivalent Frame Method. Brief explanations are given in Clause 13 of the CSA A23.3 Standard. Robot Structural Analysis process is useful for understanding the behavior of any structure type and evaluating code compliance. Robot Structural Analysis can be used to accomplish simulation, analysis, and code-based design toward any type of structure instantly.